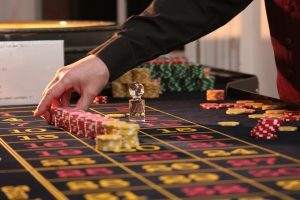 In this post, we’re going to look at effective steps that you can take to organize a fun casino themed fundraising event. But, more importantly: we’re going to look at why they’re so effective. Fundraising is an important thing indeed. It brings people together, for the purpose of doing good. It informs people of certain issues which they might not otherwise be aware of and allows them to contribute in their own way. It allows people to find something that they are passionate about and to help towards making things better. People aren’t always the very best at expressing themselves. Fund raising offers them a platform to actualise their decency. It allows people to do good, in the only way that they know how: by contributing part of their hard-earned money. Because it feels good to do just that. It feels good to know that you’ve put the effort in to something which is going to help other people. It might be a minimal amount in the grand scheme of things; but it all adds up. 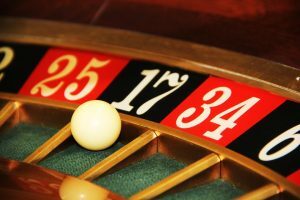 So, why are casino themed fundraising events so popular? Well, for one thing: people care less about money when they’re in a casino. Now, I appreciate just how ignorant that might sound. That’s not my intention. A casino themed fundraising event isn’t popular because people are inclined to spend more: but because people remember that money is just a number; because it means less. Money isn’t the be all and end all. And when you’ve just put a fake $1,000,000 bet on red; $50 dollars for cancer research doesn’t seem all that bad. And yes…you might think this line of thinking to be manipulative. But it’s not. It’s real. To most people, that extra $50 dollars will go to waste. It will be spent on cigarettes, beer or junk food. However, with a casino themed night; they will be afforded the mother of all reminders. And…it’s a whole lot of fun too! Psychologically, people want to donate money when they feel as though it was their idea. They want to feel like they’re doing a good thing. As much as we want to believe that charity comes out of the decency of our own hearts: for the most part it comes from a selfish place. And, that’s not a bad thing. Provided that you’re helping others, if you’re doing it to make you feel better; where’s the harm? Casino fun nights are: fun! They’re fun because people can lose themselves for a little bit and money gets spent on the right thing! It doesn’t go to the house! People aren’t losing their life savings. They lose some fake money, and then feel like investing in a cause worth worrying about. It’s win-win across the board.